Gold rose on Wednesday, lifted to their highest in almost two weeks as investors fretted about the global economy and trade tensions, and as the European Central Bank and the US Federal Reserve showed signs that monetary policy will remain accommodative writes Nallur Sethuraman. Spot gold was up 0.4 percent at $1,308.47 an ounce on Wednesday. Prices hit their highest since March 28 at $1,310.50 during the session. US gold futures settled 0.4% higher at $1,313.90. 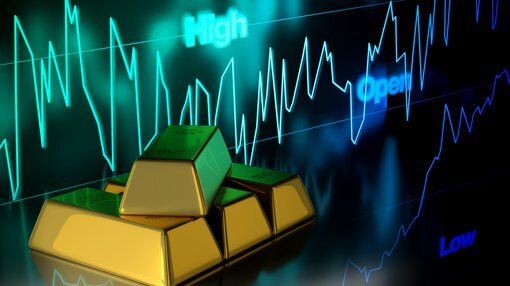 Gold drew support from political and economic worries such as the Brexit, US politics and trade tensions between Washington and China and the Euro Zone, said George Gero, managing director at RBC Wealth Management. Minutes of the Fed's March 19-20 meeting showed policy makers saw the US economy weathering a global slowdown, with no recession for the United States in the next few years. Holdings in the world's largest gold-backed exchange-traded fund, SPDR Gold Trust, fell for the seventh consecutive session on Tuesday and are at their lowest level since November. Palladium fell 0.1 percent to $1,387.51, while silver firmed by 0.2 percent to $15.24.